In a world filled with doom and gloom it can be hard to keep your head above the constant barrage of negatively. There are times when I have to sign off of my Facebook feed and turn off the TV so I won’t drown in the deluge of bad news and tales of mayhem. So when I was offered the chance to review Unselfish I jumped right on it. Unselfish is a beautifully photographed coffee table book that illustrates ninety-nine stories of good will. How refreshing! The author chose only ninety-nine stories because your own story would be one hundred. There is a page in the back of the book where you can add your own unselfish act to the collection. 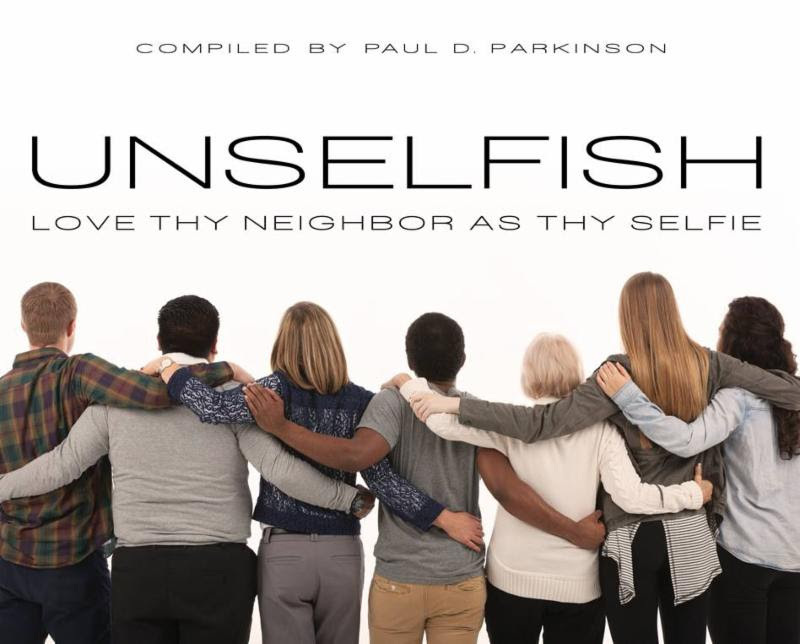 The subtitle of the book comes from a bible passage which can be found throughout the new testament that commands us to “love our neighbors as ourselves.” Unselfish reminds us that a small act of kindness towards a stranger can make a huge difference in the world. For example, there is the story of Genevieve Piturro who left her corporate job in New York City to start the Pajama Program that provides new pajamas and books for needy children across the country. In the book she shares the story of visiting a shelter in Harlem for children who have no fathers actively involved in their lives and incarcerated mothers. One child did not know what pajamas were because she had never owned a pair. The program has gone on to provide more than 3 million pajamas and books to needy children. Then there is the story of Wanda Butts who turned tragedy into victory. In 2006 Wanda’s only son, 16 year old Josh, drowned when a raft he was on tipped over. Josh, was not wearing a life jacket and he had never learned to swim. In what could have been just another sad story of loss, Wanda decided to do something to curtail the statistics connected to inner city youth who are five times more likely to drown than other children. She started the Josh Project which has since trained over 1400 children by providing low-cost swimming lessons and water-safety training to children in Ohio. These are two of the ninety-nine stories of unselfishness that are told in Unselfish. The book would make a wonderful gift for someone who is also an unsung angel in your community or who needs a reminder of the good in humanity that still exists in a world that is seemly selfie obsessed.